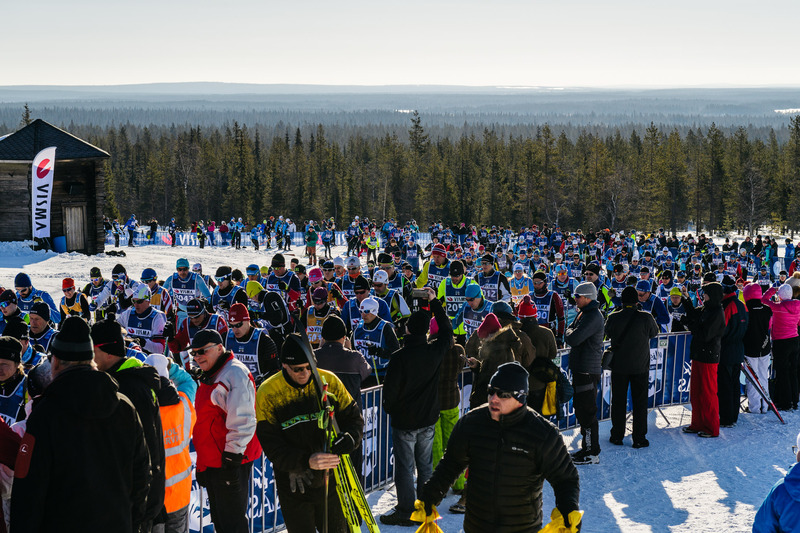 The final event of the Visma Ski Classics Season IX will take place on Saturday in perfect winter conditions. The weather should be very similar to the past two years when the race has been basking in the spring sunshine that only Lapland can offer. The preparations are proceeding extremely well and everything is going to be in place well before the D-day. There will some fierce battles for several category wins such as for the Champion title between Andreas Nygaard, Team Radge Eiendom, and Petter Eliassen, Team BN Bank, and the former now leads by 27 points. Another tight fight will arise in the men’s climb competition where the current three best skiers, Simen Østensen and Morten Eide Pedersen, both Team BN Bank, and Chris Andre Jespersen, Team Koteng, are within 25 points. There are also thrilling fights expected to take place in the youth categories and Visma Nordic Trophy competitions. Even in the sprint competition Anton Karlsson, Lager 157 Ski Team, has not secured his overall victory yet.